Word on the street is Disney’s having trouble casting for its live-action remake of its 1992 animated classic Aladdin. According to The Hollywood Reporter, Disney wants to ensure the casting is culturally appropriate and has already screened about 2,000 people for the movie’s two lead roles. Still, no one has officially landed either spot, pushing production on the film until August. THR says Disney wants to find an unknown actor to play Aladdin, but as for Jasmine? Twitter’s got its own solution: Yara Shahidi. An actress of partial Persian decent on her father’s side (Iranian, to be exact), she’s most definitely culturally appropriate. Also, her acting game is strong. Just one question: Can Yara sang it? Y’all know A Whole New World has got to be on point. If Yara’s got the pipes, Disney better holla at ya girl! Also, couldn't Yara Shahidi do well as Jasmine in Aladdin? Just give her long hair extensions. No? 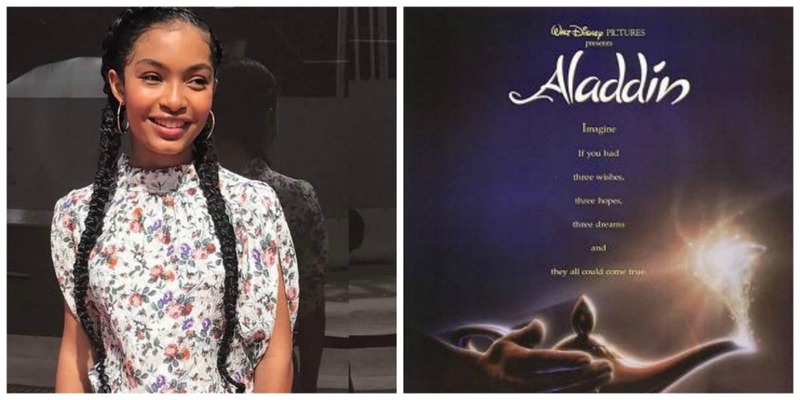 Hey, @DisneyStudios , are you all considering @YaraShahidi for the role of Princess Jasmine, orrrr…?